How lovely. I love the picture. And your words add so much voice to this image. I can really hear both character’s voices in this piece. I just love the way you were able to go back and forth. Thank you so much. 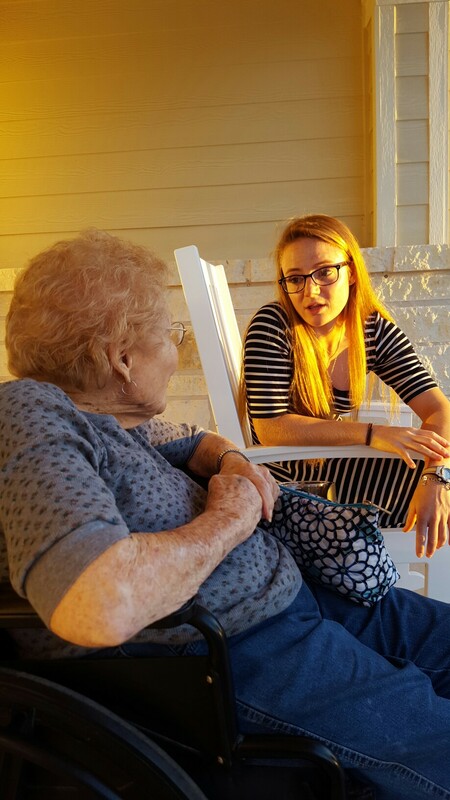 This was a magical moment between my 96 year old Grandma and the Girlchild. Oh!! How I treasure our time together!